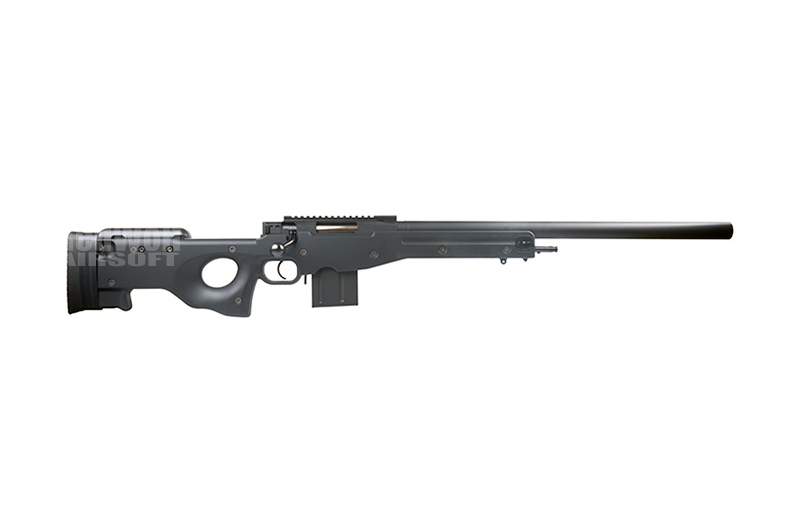 This spring bolt-action on the L96 AWS from Tokyo Marui is exceedingly smooth and easy to use. Unlike other sniper rifles where you have to use a tiny allen (hex) key to adjust your hop-up, the Tokyo Marui uses a very stable and consistent dial system. Situated on the underside of the hand guard in a very accessible location. The body has been finished superbly leaving little to no space along the seam lines, whilst the color coating had been applied on perfectly. 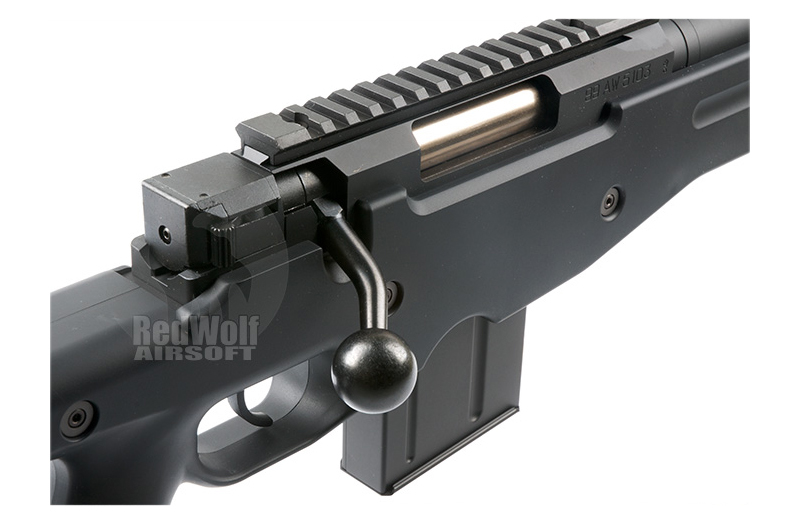 The barrel is capable of receiving a 14mm CW adapter (Not Included), for the attachment of silencers or other muzzle accessories. An adapter to attach a bipod has also been included (Bipod NOT included). 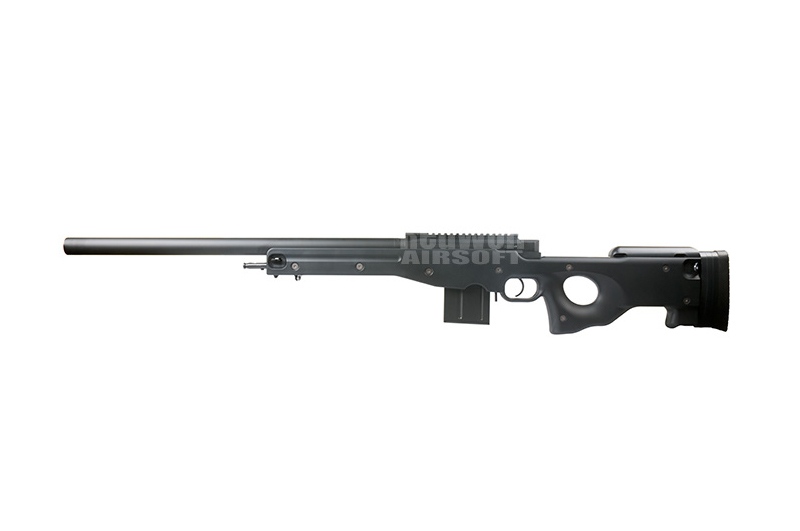 As with all L96 rifles, the Tokyo Marui L96 AWS features a vertically adjustable cheek rest. Consider grabbing a scope along with the Tokyo Marui L96 AWS by having a browse through our Accessories: Scopes and Sights ? AEG section. Or pick up the Tokyo Marui Tactical Bipod.